In 2015, Peru Federal Credit Union ($17.7M, Peru, NY) faced a hard truth. Friends and regulators were hinting it was time to grow or die, and merger offers were circling. The upstate New York credit union chose to live. It invested in its future, and under the leadership of manager and CEO Maggie Pope and a supportive board, built a new office and secured a community charter. Peru Federal Credit Union’s member growth spiked dramatically after opening a new office in July 2015 and securing a community charter at the end of that year. Its 8.8% year-over-year growth in the first quarter of 2017 ranked in the top 5% of credit unions with less than $50 million in assets. Peru is a town of approximately 7,000 people located in the northeast corner of the Empire State, about 90 minutes south of Montreal. The major employers in the area are the State University of New York and a local medical center. Until the charter change, PFCU was primarily a teachers credit union with an office tucked away on a dead-end street that Pope says made it pretty much invisible. A club few wanted to join. Membership was declining when Pope became manager in 2010, succeeding a previous manager of 28 years who Pope says eschewed technology. That also was the message from Pope’s NCUA regulators and her instructors at CUNA Management School in Madison, WI. Instead, PFCU built a new branch on the main road through town and secured a new community charter, one that includes hometown Clinton County and adjacent Essex County. 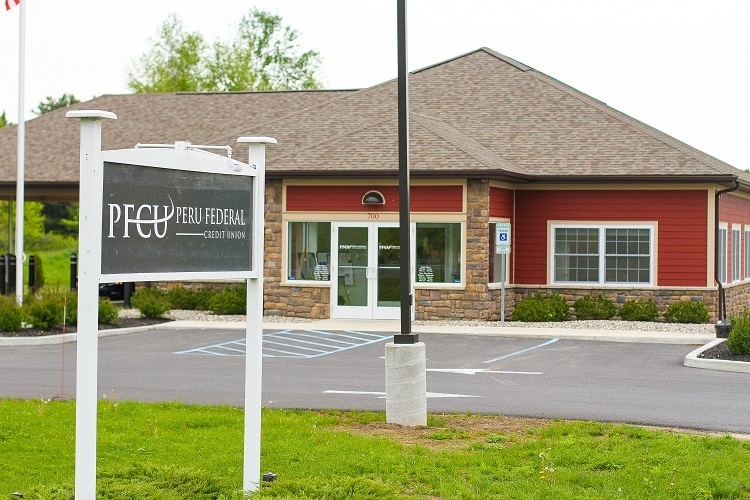 Peru FCU moved from a dead-end street into this new, easily accessible branch office on Bear Swamp Road in July 2015. But that new building and charter were just the beginning. In the past couple of years, PFCU has introduced simple products and services — its first ATM and a coin counter, for example — that have made a significant difference. The local grocery store charges 9% for coin counting. PFCU’s machine is free to members and 6% to non-members. Pope says the machine has paid for itself in a year just in staff time not spent rolling coins. Plus, a couple of people joined as a result. PFCU uses small credit union specialist FedComp as its core processor. Find your next provider in Callahan's online Buyer's Guide. The credit union also has added essential digital services, including a mobile app, bill pay, and online on-off switches for its debit cards; however, it doesn’t offer mobile deposit for checks. The credit union has also replaced batch processing with real-time debit crediting and is considering offering credit cards. I’ve got one member, Gary, who gets a $10 check every week for his car pooling. I told him I’ll pay him 49 cents for every deposit for us not spending $500 on RDC. PFCU’s community charter expansion sparked an immediate surge in lending. Auto and real estate originations and re-financings have led the way, but so has the credit union’s relationship touch. PFCU did take a hit when approximately half of the small-dollar loans it made to a group of 30 new members went south. But its overall delinquency was a relatively low 0.73% as of first quarter 2017, according to data from Callahan & Associates. This is more in line with the 0.69% national average than the much-higher 1.12% average for credit unions with $50 million or less in assets. And PFCU reported no loans of six to 12 months delinquent in its latest call report. Peru Federal Credit Union’s loan growth in the first quarter was 9.99% year-over-year compared with 11.14% for all U.S. credit unions and 4.4% for its asset-based peer group. Although positive for the long run, the credit union’s investments in its future have taken a toll on its short-term bottom line. Net income as a percentage of total income fell 55.29% from one year ago, and ROA fell from 0.48% in first quarter 2016 to 0.21% now. Total income fell only 0.49%, however, and PFCU’s ROA is still close to the 0.26% average recorded by credit unions with $50 million or less in assets, according to Callahan data. The credit union is well-capitalized, too, with a 15.71% ratio of net worth to assets, all the while not relying on fees from members at nearly the average rate. PFCU’s fee income per member was $20 in the first quarter, well below the $48 for its peer group and $73 for the average U.S. credit union of any size. “We’ve never had strong fee income,” Pope says. She says her credit union’s fee income, already low, further dropped when it began offering free checking accounts with electronic statements. The credit union also has no courtesy pay program. It will be raising some rates, however, including its nonsufficient funds fee from $5 to $25 and its domestic and international wire fees from $10 to $25 and $50, respectively. Expansion is on the credit union’s horizon. PFCU is considering building a second office in Essex County and is already over there making friends. The credit union made a $1,000 donation to a community playground fund, and the reaction surprised even Pope. “It was unbelievable how many people commented, including sending me personal notes and thanking us for believing in their kids,” she says. In our rural community, we’re just as essential as the post office and a doctor’s office. Those youngsters, Pope says, represent the future of the credit union. And as a certified financial counselor, she’s a strong believer in financial education for them and all members. That’s where the credit union comes full circle. PFCU began as an educators credit union and its board remains predominantly teachers. They range from 23 to 75 in age, Pope says, and many have been on her board for 15 years of more. Pope credits PFCU’s board for the credit union’s turnaround. 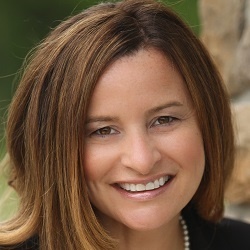 She also recognizes the role played by her NCUA regulator, the New York Credit Union Association — which was critical in helping PFCU convert to a community charter in just six months ― and her friends at CUNA, where she serves on the small credit union council. Pope pays it forward and is happy to share her experiences and what she’s learned. Callahan's Peer-to-Peer shows where your credit union stands against relevant peers in terms of member growth, loan growth, fee income per member, and more. It's the context you need to make better strategic decisions.